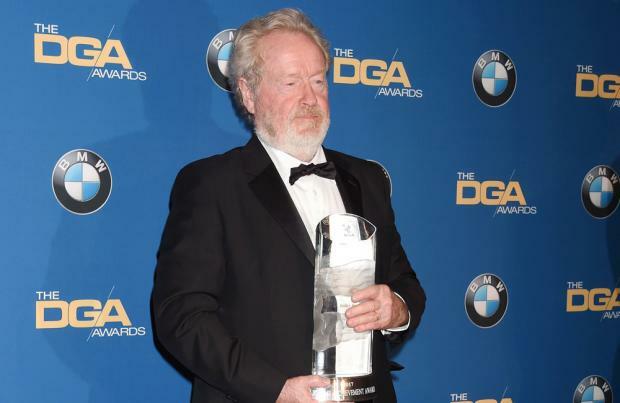 Sir Ridley Scott "erred on the side of youth" when he cast Kevin Spacey in 'All The Money in the World'. The 80-year-old filmmaker has helmed the John Paul Getty biopic which originally starred Spacey, but after numerous sexual misconduct allegations, Scott reshot the movie and replaced the actor with 'The Sound of Music' star Christopher Plummer. Although, the film had been completed and trailers were being shown in cinemas, Scott knew he had to make the swift reshoots and said Plummer is a "real colouring book". Speaking to The Guardian newspaper, Scott said: "We only went with Kevin because he was younger, the part was challenging and Christopher was 87. I erred on the side of youth, which I shouldn't have. For me it was just organisation, bang bang, bang bang bang. "If I was going to feel anxious about anything it would have been about my new Mr Getty because it's a lot of words, 22 scenes. He had to get it down. Plummer's got this enormous charm whether he's doing 'King Lear' or 'The Sound of Music'. This guy's a real colouring book, he can do anything." The film follows the kidnapping of 16-year-old John Paul Getty III (Charlie Plummer) and the desperate attempt by his devoted mother Gail (Michelle Williams) to convince his billionaire grandfather (Plummer) to pay the ransom. Recently Williams and Mark Wahlberg, who stars as advisor and CIA operative Fletcher Chase, revealed they agreed to reshoot the scenes without being paid. Despite originally starring Spacey, Scott admitted he thought the film was "perfect" before the allegations came out. He said: "When I finished it with Kevin, it was kind of perfect. I got on very well with him. He's a very good actor, great fun to work with. "I knew he liked the chaps. But it's not business. I never witnessed any untoward. He's a very good actor. It's a pity."